Why Can’t I Tell Which Tooth Hurts? Most of the time, you can tell exactly which tooth is hurting you; however, there may come a time when you cannot. 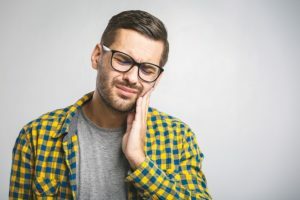 To better understand the reason, researchers at the University of Erlanger-Nuremberg in Germany recently conducted a study to learn more about tooth pain. During their study, they delivered brief electrical pulses to either the upper or lower left canine of participants. They were able to feel the bursts of stimulation in a specific tooth when performed individually. The brain responded to the top or bottom pain similarly as the discomfort was carried by signals from two different branches of the trigeminal nerve. Researchers then delivered the pulses to both the top and bottom canines at the same time. At this point, participants were not able to determine where it originated. They could not localize the sensation that they were feeling to a specific tooth. How Can My Dentist Treat My Pain? This provides a new advantage for your dentist in Daytona Beach because often patients are not able to determine the exact tooth that is causing discomfort. As a result, your dentist can evaluate the different pathways from the tooth to the brain to help locate the source of the problem. With this understanding, your dentist can help to create more specific treatments that cater to your exact needs. By pinpointing the location of the pain, they can determine if it is due to tooth decay, an abscess, or another issue. Although you may think that an occasional toothache is normal, it is not. In fact, it is often a sign of a problem that is brewing beneath the surface. Any time you experience a painful tooth, it is best to contact your emergency dentist right away to get to the root of the problem. With quick treatment, you will not only stop your pain, but it may also help to save your tooth from needing to be removed in the future. If a toothache has interrupted your day, do not wait. Contact your dentist right away. Dr. Gladston Silva is committed to enhancing the lives of his patients with superior dentistry. In addition to general services, he is always there for his patients—even during times of emergency. If you have a toothache or another issue that needs immediate care, contact Lakeside Daytona Dentist today to schedule an appointment.